I have been teaching children for over a decade in many settings — schools, community centers, youth employment programs, camps and one on one — and have found that sewing is a craft that offers meaningful learning to young people across many ages and backgrounds. Whether a child is 6 years old or 17, learning to sew can help them exercise their artistic side, develop fine motor skills, and wear the hat of an engineer as they cut out two-dimmesional shapes and sew them into three-dimensional garments. Long before STEAM was a thing in education, sewing was pastime that allowed young people to have fun energizing their artistic side while making things they can actually wear and use. Kids are excited to make things, especially items they can wear and use. It gets them off their screens, working with their hands and socializing with others who share their interests in the craft. Have a child who is a young fashionista or an avid maker? If you have a child between the ages of 7-11 who might be interested in a group class, please contact me. Class sizes are small (four students max), and I can also develop pricing for groups of 2 or 3 if your child has a friend who is interested in taking lessons together. Right now (as of spring 2019) I’m generally available Thursday afternoons and some Fridays; I teach at the Oyster Adams Bilingual (upper campus) on Mondays – Wednesdays.  In my classes, students will learn how to safely use a sewing machine and will work their way through a series of fun projects that build their confidence and give them a basic foundation in sewing skills. All materials are included in this classes, but students are welcomed and encourage to bring their own fabrics if they would like more personal choice for a project. Projects for beginners include items such as a pillow, tote bag, PJ shorts or simple skirt, stuffed animals, and more. For children who are homeschooled, sewing classes can be a great way to augment their learning in many areas, especially artistic development, math comprehension, and spacial learning. I work closely with parents to help identify the learning goals for each child and can develop fun, project-based lessons that get their creative sides going and also reinforce academic concepts you may be working on in other areas. If you have a child or a group of children who are interested in classes, please contact me for more information on scheduling options and availability. I can accommodate up to four students at a time in my space. Pricing for small groups is typically similar to my after school classes ($180 for six 90 minute classes), but I can also work with you to develop a schedule and price structure that fits your needs and budget. I conduct birthday parties at my studio for groups of up to 6 children. Parties generally need to be booked at least 3 weeks in advance. No sewing experience is required. For project options, pricing, and more details, please contact me. 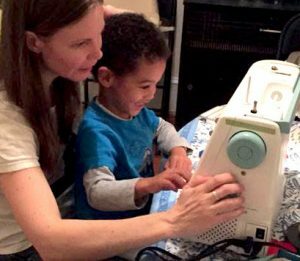 Will my child be able to sew at home after private lessons or classes? Hopefully yes! But some of this depends on you, and some of it depends on your child’s personality, and his or her age. My classes are small and that enables me to get to know each child and his or her parents so that I can better understand learning styles and parent expectations. I have now taught hundreds of children, and in general, I have found that until students reach about 10 years of age, they are in exploration mode when it comes to sewing. My goal is to nurture that exploration, expose them to the basic skills, and foster a love for the craft, but I don’t expect them to sew perfect seams or spend lots of time correcting mistakes when they are very young. I want them to have fun, be safe, and love to sew. In about 4th grade (around age 10), I start seeing a shift in students’ attention spans and desire to focus more on the quality of their work. That is when I begin pushing them to spend a little effort in the finished product, and to try more ambitious projects that require multiple sessions to finish. This all depends on each child, and some reach this stage earlier than others. Above all, I strive to foster a love for sewing and design first, because this will motivate them to do their best work and grow as creative individuals. What sewing machine do you recommend for a child? I find that the most valuable feature on a child’s sewing machine is speed control, which is the ability to keep the machine slow even if they are pressing the foot pedal down all the way. Not all machines have this; it usually adds a little to the price, but can still be found on reasonably affordable machines. A smaller-sized machine is not necessarily better or safer than an adult size, and your child may grow out of out of it quickly. I suggest the Brother CS6000i as a good starter machine for kids. It is reasonably durable and works well for adults too if a grown up in the household gets the sewing itch. If you have a higher budget and are looking for something that will last more than a decade, I suggest the Janome MOD 30. I generally do no recommend Singer sewing machines, as they tend to have a poor track record for quality these days, despite their past as an industry leader. Yes I do. My mother was a Special Education teacher and she instilled an appreciation in me for the joys of working with people who have learning differences. As a teacher, my first goal is to be a student myself, listening, observing, and gathering information on how a child learns best so that I can tailor my teaching style to their needs and push them forward in a productive way. I work with parents closely in this process, and welcome feedback and input to develop an approach that is meaningful and well-suited to each child.